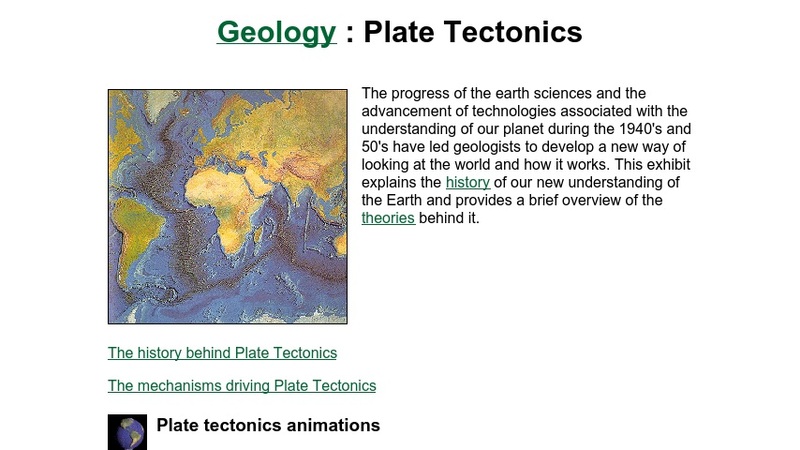 Visitors to this site can learn about the theory of plate tectonics, the history of its development, and the mechanisms that drive the formation, movement, and destruction of continents and tectonic plates. A selection of animations depicts the movements of crustal plates and continents through time. Each animation is accompanied by an interactive time scale that provides links to descriptions of the geology and paleontology of the selected era or period.